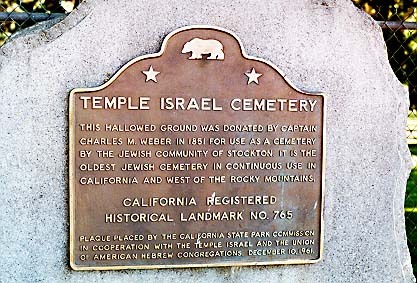 This hallowed ground was donated by Captain Charles M.Weber in 1851 for use as a cemetery by the Jewish community of Stockton. 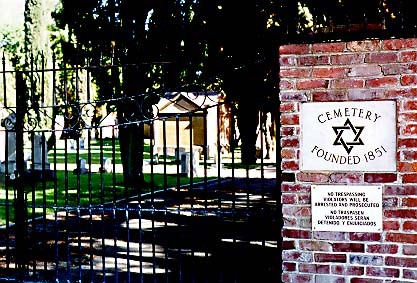 It is the oldest Jewish cemetery in continuous use in California and west of the Rocky Mountains. On E Acacia St between N Pilgrim and N Union Sts, Stockton. Return to other landmarks in San Joaquin county.